With nearly 40 years of experience offering AP® educators professional development and networking opportunities, Carleton College is proud to continue hosting our Summer Teaching Institute in 2019. We aim to provide a collaborative environment of on-campus living, high quality instruction, and the possibility of creating new partnerships with other educators willing to share resources for curriculum development. Please note: We will not offer a second Summer Teaching Institute in July this year because of limitations imposed by a series of campus improvement projects, so please don’t delay reserving your spot for the June session. Our registration form is only available online and no payment is needed at the time of form submission. Once a teacher completes the online registration form, they will receive an email with instructions on how to pay either online with a credit card or by check/purchase order. This email may be forwarded to school administrators for payment processing. 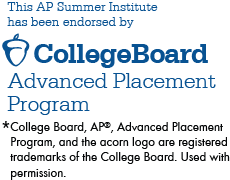 It is recommended that teachers register themselves, as each registration is tied to a College Board® account. "A marvelously enriching experience from beginning to end! Carleton has done an exemplary job in hosting AP teachers...."
"Everything was applicable. Great leadership from our teacher—so affirming and enthusiastic about AP. This week made me proud to be a teacher doing AP." "Class definitely met my expectations. I have a lot of material that I will be able to use to enhance my AP Calculus class.... Quality workshop—well worth the time and money!" 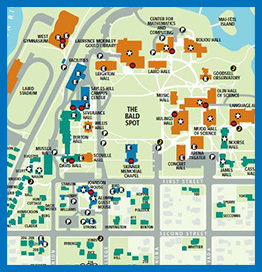 Click here for an interactive Carleton College campus map!